To understand the difference between PPC, CPA and CPM we must first understand the meaning of affiliate marketing. This form of internet marketing is used by merchants and business owners and also others into advertising. The affiliate marketing is used to direct traffic into another website for the purpose of promotion and sale. The person who directs the traffic through a promotional website is called an affiliate. The publisher will load the information about the products or services onto the website. The hits tell you the number of times the website is accessed. The publisher is always compensated according to the website actions and the payment is made in many forms. Thus, CPS is a very common payment or compensation method and it is supposed to be the most popular of all payment methods. 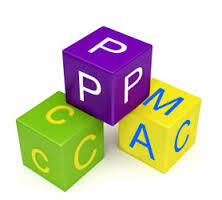 The PPC or Pay per click is also one of the payment or compensation methods. This is also known as the CPA or CPS method. 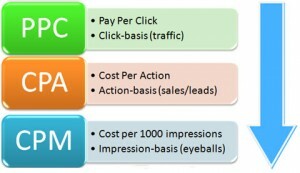 This method refers to the cost per click or the cost per sale method. The option is important for the customer who does not view the ad only but also follows up by paying a visit to the site of the advertiser. This is before any compensation is given to the publisher usually. The compensation is generated by the ads that are usually displayed on the search engines. It is thus very important that the published presenting the material for advertisement is such a way that the main demographic for which the ad is intended is ultimately reached. The advertiser would receive all sorts of relevant information on responses, visits, hits and every other action taken by them. CPM or pay per impression is also referred to as cost per thousand or CPT. The commission that is earned by the publisher is paid as soon as the material for advertising is loaded onto the website. The person viewing the advertisement would require doing no further action. Display advertising would generate the payment while using this method. The basic difference between these affiliate marketing terms depends on the method of collecting the payment.